The Deer is described as the collective name for artiodactyl ruminant mammals of the family cervidae. Ruminant animals are even-toed, cud-chewing, hoofed, usually horned mammals which have a stomach divied in to four (occasionally three) compartments. Deer are characterised by having deciduous antlers which are borne chiefly by the males. Examples of ruminant mammals are cattle, sheep, goats, deer and giraffes. We now sell Tornado deer fencing made from Hi-Tensile Plus, it offers unrivalled strength, a secure boundary and comprehensive protection from predators. 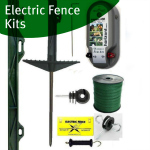 Specifications for deer fencing range from 8cm to 30cm between the vertical wires for use in different situations. HT13/190/15 100m Deer Fencing - This fencing is 100m long, 190cm high and weighs on average 111kg. It has 13 line wires and the distance between stay wires is 15cm. 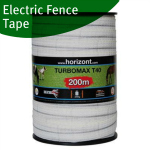 HT13/190/22 100m Deer Fencing - This fencing is 100m long, 190cm high and weighs on avergae 96kg. It has 13 stay wires and the difference between stay wires is 22cm. HT13/190/30 100m Deer Fencing - This fencing is 100m long, 190cm high and weighs on average 81kg. 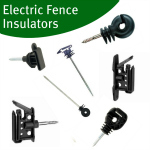 It has 13 line wires and the differece between stay wires is 30cm. 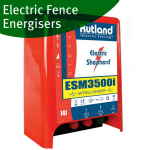 HT13/190/8 50m Deer Fencing - This fencing is 50m long, 190cm high and weighs on average 88kg. It haS 13 line wires and the difference betweet stay wires is 8cm. LHT13/190/15 Deer Fencing - This fencing is 100m long, 190cm high and weighs on average 71kg. 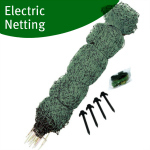 It has 13 line wires and the difference between stay wires is 15cm. Tornado deer fencing comes with a choice of heights and specifications to ensure tailored, cost-effective solutions.